As published in the Philippine Daily Inquirer, January 11, 2015. 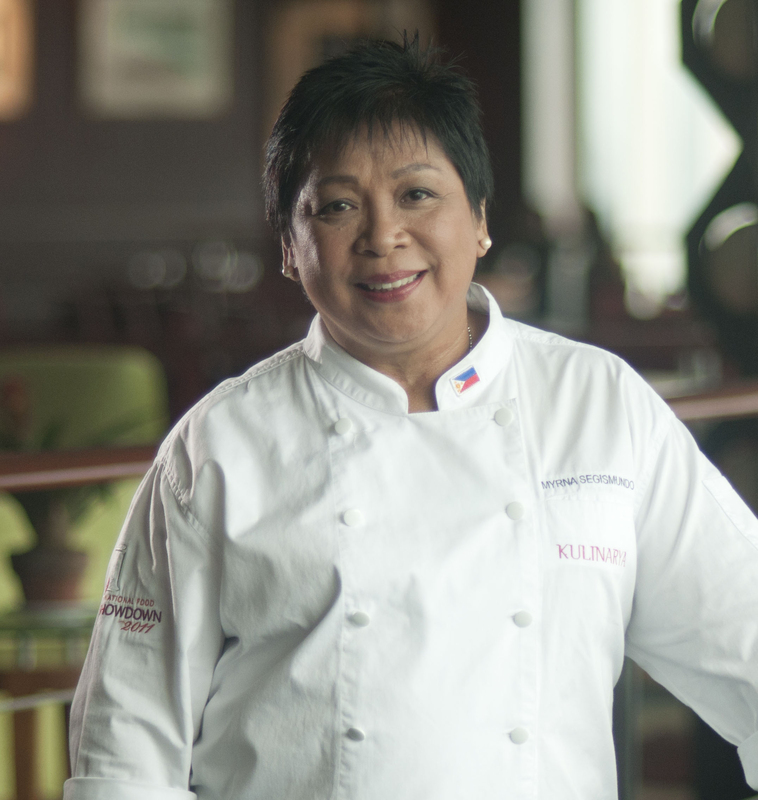 “We never thought this would happen in our lifetime,” Chef Myrna Segismundo said, sharing the news that she and Chef Margarita Fores will be cooking at Madrid Fusion in Spain this February. Madrid Fusion-International Gastronomic Summit is one of the most prestigious gatherings of chefs and influencers in the culinary world. It is an annual three-day event of food exhibitions, lectures, demonstrations and dinners prepared by celebrity chefs from around the world who are invited to cook at Madrid’s most renowned hotels and dining venues. This year, Madrid Fusion will be held from Feb. 2 to 4 at the Campo de las Naciones Convention Centre and for the first time, the Philippines will be in the spotlight! On Feb. 2, Chef Andoni Luis Aduriz of Mugaritz, one of the world’s best restaurants, will speak on the “Mechanisms of Creativity” in the morning; while Chef Elena Arzak, from her multi-awarded eponymous restaurant Arzak (and who has been named Best Female Chef in the world), will discuss “Leafy Cuisine” a little past noon. But come 6:30 p.m., the Philippine flag will be raised high among these culinary greats as two Filipino chefs, Segismundo and Fores, take the stage to talk for half an hour about a humble dish we all know: kinilaw. 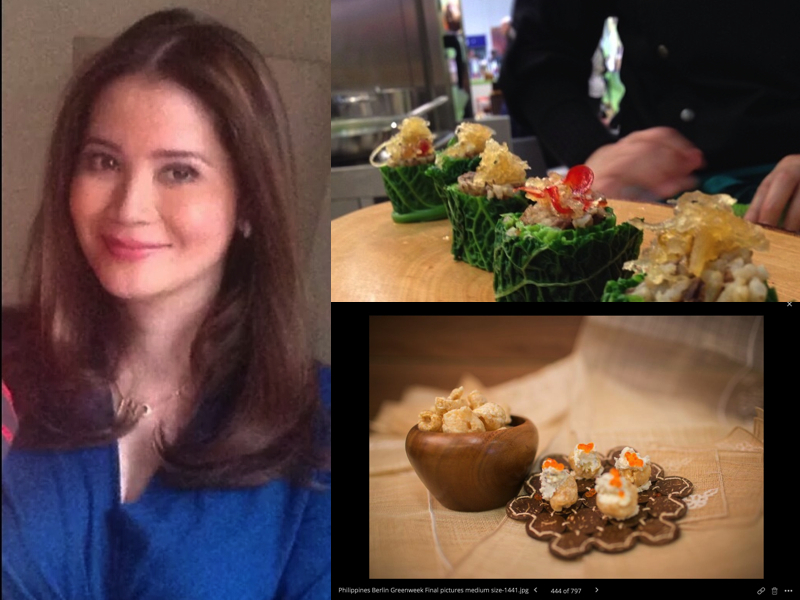 “I made the Spanish organizers of Madrid Fusion taste kinilaw, among other dishes, when they were last here in Manila to do an ocular, and they really loved this dish so we were asked to present on it,” Segismundo explained. “I think kinilaw is a great introductory dish to Philippine cuisine because it is unique to us,” she added. They will present three versions of the kinilaw: the classic take on it using suka (vinegar), a modern version using cava and one using tabon-tabon. It is not only the kinilaw that guests at Madrid Fusion will be exposed to, however. As visitors enter, they will see a large Philippine booth showcasing the best of Philippine produce curated by Undersecretary Berna Romulo-Puyat of the Department of Agriculture. The booth will present Philippine products based on the five flavors of the Philippines: sweet, salty, sour, bitter and “linamnam” (our counterpart for umami). These will include Philippine mangoes for the food category “Sweet”, chicharon for “Salty”, the Mindanao tropical fruit tabon-tabon for “Sour”, ampalaya for “Bitter” and heirloom rice such as Kalinga and Ifugao rice and taba ng talangka for “Linamnam”. 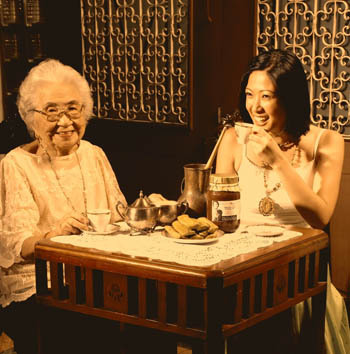 The booth will also present Filipino beverages such as Destileria Limtuaco’s Manille Liqueur, Philippine juices and tsokolate. “This is a chance for the world to get to know Filipino ingredients like souring agents and heirloom rice,” Romulo-Puyat said. This will be her fourth exhibition of Philippine products in Europe. In 2013, she organized “Philippines, An Archipelago of Exchange” at the Musee du Quai Branly in Paris, where 10 Filipino chefs led by Fores impressed the French with their Pinoy cooking at the press luncheon and the cocktail reception for the French prime minister. In 2014, there was a Philippine booth at the Grünewoche International Green Week in Berlin in January; and another proudly Pinoy booth at the Slow Food Festival entitled Salone del Gusto in Turino, Italy in October. She is also very proud that in Berlin, with the Philippine booth placed between the booths of Japan and Korea, the longest queue was for the adobo with mangoes. THE TEAM that made it happen: (From left) DOT Director Verna Buensuceso, Chef Margarita Fores, Chef Chele Gonzales, Tourism Secretary Mon Jimenez, Jr., Mielle Esteban and Iñigo Casado of Arum. On the second day of Madrid Fusion, the Philippines will also launch Madrid Fusion Manila, which will be held from April 24-26 at SMX. In Sept. 2014, this idea became reality when Sec. 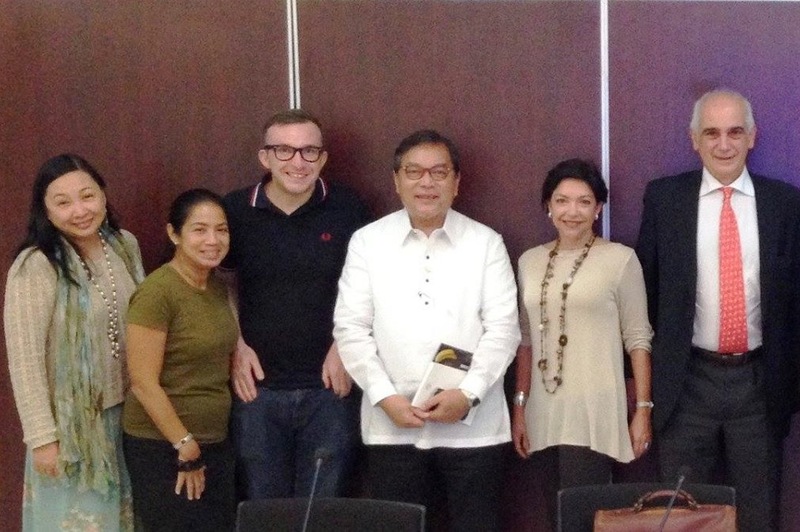 Jimenez and Spain’s Secretary of State for Trade and president of ICEX (Instituto Español de Comercio Exterior) Jaime García-Legaz signed a Memorandum of Understanding for Madrid Fusion Manila, with no less than President Benigno Aquino III standing as witness. Tourism Director Verna Buensuceso is now diligently heading the project, with the help of Monette Iturralde-Hamlin of the Tourism Promotions Board. 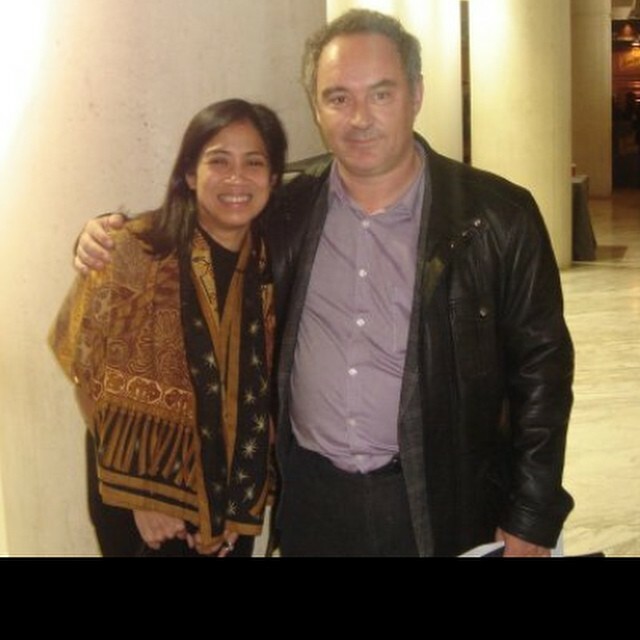 #Throwback Margarita Fores with El Bulli’s Ferran Adria at Madrid Fusion 2007. Cut to 2015: Fores will be cooking at Hotel Ritz Madrid. Aside from the exhibition, guests of Madrid Fusion (in Spain) are also given the opportunity to experience the cooking of guest chefs from around the world at participating restaurants and hotels in Madrid. Here is the breaking news: among the celebrity chefs cooking for Madrid Fusion 2015 are our very own Segismundo and Fores. Segismundo will cook on Feb. 3 at the Hotel Orfila, a small palace from the 19th century, while Fores will cook at the highly acclaimed Goya Restaurant at Hotel Ritz Madrid on Feb. 4. Right now, these two chefs are researching and practicing for this monumental event where they will present our flavors to the most discerning and acclaimed gourmets of the world. This is definitely a milestone for Philippine cuisine that will certainly boost our tourism and agricultural industries. Our chefs are now poised to be called among those considered to be the best in the world and our produce and flavors are set to be recognized by a most discerning and influential international market. For details on Madrid Fusion in Spain, please visit www.madridfusion.net. For details on Madrid Fusion Manila, please visit www.madridfusionmanila.com and like their Facebook page Madrid Fusion Manila.